Fidor Group is a financial services firm that comprises of a digital bank, a solutions partner and an in-house digital communications agency. • Fidor Bank: Europe’s original digital challenger bank available in Germany, the UK and France and developing across Europe. Founded in 2009 in Germany, Fidor has become the world’s first ‘fintech bank’, pioneering open banking using community forums, adopting social media practices and collaborating with fintechs across the globe. The banking concept provides an online community for people to provide and receive financial advice, giving users rewards for doing so such as cash, improved current account and savings bond interest rates. The personalized approach to banking gives every customer a voice in how the bank is run, as well as giving them unprecedented control - discussing the future interest rates or suggesting new products for example. • Fidor Solutions: the innovative digital backbone for Fidor Bank in addition to being a co-entrepreneur with partner-banks and non-financial institutions; providing them the necessary technology, services and expertise to design, drive and grow their own digital banking project. The company is a pioneer of Open API Banking and has designed fidorOS (fOS) – a cutting-edge digital platform using open APIs – it quickly became a breakthrough for the next generation of banking. Core offerings provided by Fidor Solutions includes Banking as a Service, the Digital Banking Accelerator, Fidor Payments Avenue and Fidor Finance Bay marketplace which brings fintech, tradetech and insurtech services into one stop shop. Fidor Solutions collaborates with various institutions including challenger banks to build from the ground up, traditional banks that wish to go digital, non-financial organisations such as Telcos or Retail brands that want to launch their own bank. • Fidor Factory: a digital agency which deals with all customer communications and services. The company’s main activities include managing the group’s PR and communications, customer relationship management and addressing direct customer dialogues. 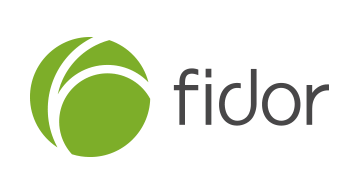 As an in-house digital marketing solution specialist, Fidor Factory GmbH has been involved at all stages of Fidor Bank’s growth, from its beginning in Munich in 2009 to the roll-out of its offering across Europe in addition to service Fidor Group’s partners across the globe.